To gain opportunities from your networking activities – be they online or face-to-face – you need to become an effective word of mouth marketer. This was the conclusion I came to after completing my research for my book. and high levels of social capital. Credibility is an intangible quality which is difficult to accurately define, as it means different things to different people. I personally define someone who is credible, as a person who has developed a reputation as someone who ‘walks the walk and talks the talk' AND delivers on all their commitments. Before someone is willing to risk their reputation, by recommending you to someone within their network, they want to know that you are committed, will conduct yourself appropriately and will be able to deliver on whatever they put you forward for. It's not enough to just be good at what you do, you need to be visible to others. Someone I used to work with called it ‘top-of-the-mind' visibility. When someone within your network sees or hears of an opportunity, you are the first person who they think of. With online networking giving people more choice over who to recommend or contact, it has becomes easier to gain visibility with more people, but harder to maintain ‘top-of-the-mind' visibility with the people who are more likely to help you achieve your business goals. regularly send articles of interest to your network. As people's networks get larger, it's not enough to just be visible and credible – your personal brand has to be marketable and compelling to referrers. Just as you make a choice about a brand every time you purchase a product from a retailer, people make a choice about your personal brand every time they recommend your services. So, what do we mean by a personal brand? It's what people say about you when you leave the room and they Google your name. And this is a key point – your personal brand is now as much as what the internet says about you, as what others say about you. Many people are superb about articulating their sales message verbally, but then ignore their online footprint. Then, as soon as someone checks them out online, the impact of their carefully crafted message is lost. Probably, the easiest way to explain social capital is to take you back to your school days. Do you remember where you at school and there was a boy or a girl who was incredibly popular? Everyone wanted to be their friend, they were the people picked first for teams and when they decided what they wanted to do everyone seemed to want to do it with them. These people held great influence over the class and had accumulated a large amount of what I am calling social capital. Social capital is the imaginary bank account that you build up by being helpful to people. Social capital can be measured by the breadth and the depth of your network, the strength of your relationships within that network, and the good will and level of influence you have within that network. Remember, that people have to WANT to refer you – and that takes influence and goodwill, which you need to gain over time. 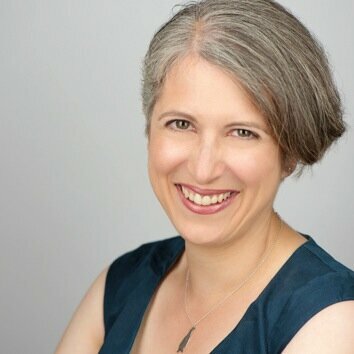 Heather Townsend is the author of The Financial Times Guide to Business Networking. You can find more resources for networkers on her website Joined Up Networking. Networking expert Heather Townsend explores the four vital ingredients networkers need to know about to generate referral opportunities through their network.